1. 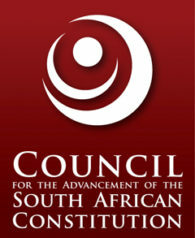 The idea of ‘progressive constitutionalism’ is a pivotal founding principle. 2. As the supreme law of the land, the Constitution provides a framework for the social and economic transformation of South Africa, and for a deliberative, participatory and inclusive democracy. This framework, together with its underlying values and founding principles, needs to be protected and advanced. 3. The constitution itself must be subject to ongoing critical appraisal to assess its efficacy as the needs of the country change. There may be a need to debate and lobby for constitutional and legislative reform to enhance the legitimacy of the democratic political process. The Constitution must be a living, not a static, document that evolves to deepen democracy. 4. The principle of the rule of law is a vital building block in seeking to pursue the concept of constitutionalism. Public and private power must be exercised within the law in order to retain legitimacy and to enhance a culture of responsibility and accountability aimed at guarding against the arbitrary use and abuse of power and authority. 5. Judicial independence is, in turn, an indispensable element, if not a prerequisite for the rule of law and the integrity of the court system if it is to dispense justice that promotes substantive equality as well as procedural fairness. 6. In order for people to organise lawfully to claim rights, and to participate meaningfully in democratic decision-making, civil liberties such as freedom of speech, access to information, and a free and tolerant political process are essential. 7. The realisation of the socio-economic rights is intertwined with civil liberties and political freedoms. Social and economic marginalisation deprives people of their fundamental right to live with security and dignity, and betrays the Constitution. Endemic poverty and inequality render South Africa a fragile society, where the poor and the vulnerable, especially women and children, are condemned to the fringes, and easily exploited. There is an unacceptable and unsustainable gap between the vision of the Constitution and the lived reality of far too many citizens. This gap must be closed. Providing people with access to decent education, adequate housing and health care, and a social security net is essential for a cohesive society and the future prosperity of the nation. 8. As traditional orthodoxies are being questioned in the global economy, so too must the Constitution take into consideration the socio-economic context in which it exists, and be responsive to the scale, urgency and interconnectedness of the challenges of globalization and sustainable development. 9. The values that contribute to building a society with effective systems of open governance – ethical behaviour, accountability, competence, hard work, a spirit of public service with consequences for poor performance or corrupt conduct, non- violent resolution of disputes, and non partisanship – also need to be respected. 10. A rights-based culture must also focus on the responsibilities and obligations that go with these rights, encouraging citizens to play an active part in improving their own lives and communities, and in holding government to account through participative processes and sustained social dialogue. The goal is a deliberative democracy that celebrates diversity and in which respect for the views and beliefs of others is the norm thus helping to build solidarity between different social groupings.